Why Did Rico Petrocelli Endorse Brenda Snipes & Mitch Ceasar?!? 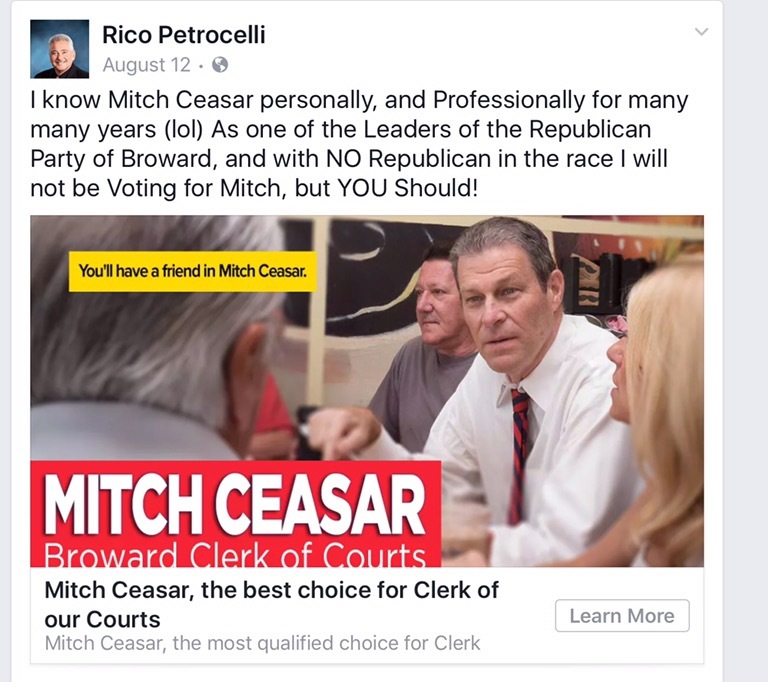 Why did Broward Republican State Committeeman Rico Petrocelli endorse Democrats Brenda Snipes and Mitch Ceasar in the August primaries? 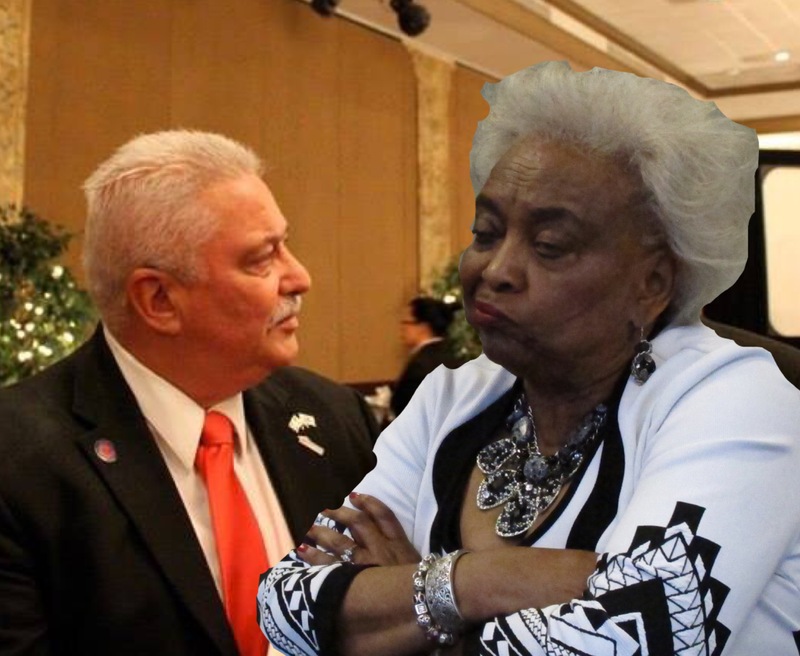 During July and August, Petrocelli went out of his way to endorse Snipes, the controversial Broward Supervisor of Elections and Ceasar, the chairman of the Broward Democratic Party. Did Rico think they were the best candidates for the job? 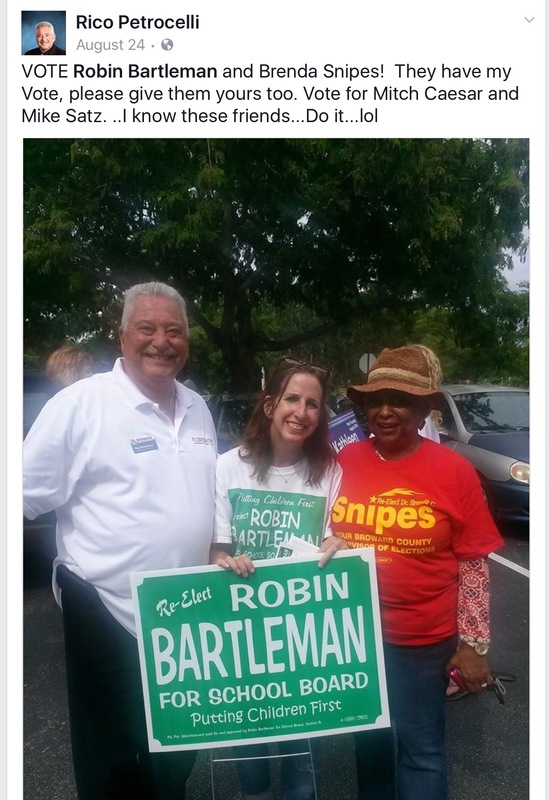 Snipes continues to make major mistakes, like omitting candidates and constitutional amendments from the August ballot. And Ceasar was soundly defeated by Brenda Forman in the Broward Clerk of Courts race. But this is not the first time Rico Petrocelli has endorsed a Broward Democrat. Petrocelli’s support for Levy was not limited to Facebook posts. One of his Republican neighbors snapped pictures of no less than 3 Levy campaign signs adorning the Petrocelli homestead. Why on Earth is Rico Petrocelli, a leader of the Broward GOP, so eager to see the election of Broward Democrats? Once again, Rico’s judgment is called into question. In 2013, after just three months as party chairman, Rico Petrocelli quit the Broward Republican Executive Committee. When the going got tough, Rico quit. Now, Rico wants BREC members to trust his judgment by electing him chairman and Lauren Cooley, a 24 year old musician, as his vice chairman. Can BREC members afford to trust Rico Petrocelli?